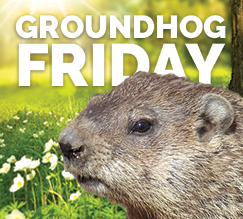 This week’s Groundhog Friday — a wrap-up of political claims we’ve debunked before — includes assertions about illegal immigration, tax returns, jobs, wages, the Iraq War and the trade deficit. Click on the links to our original stories for more information about each claim. Christie and Trump exaggerate the number of immigrants who are in the country illegally and have been convicted of other crimes. The U.S. Immigration and Customs Enforcement “estimates that 1.9 million removable criminal aliens are in the United States today,” according to a Department of Homeland Security report for fiscal year 2013. But, as the Congressional Research Service explained in a 2012 report, those “criminal aliens” include immigrants in the U.S. legally and illegally who have been convicted of a crime. While ICE did not say how many of the 1.9 million were living in the U.S. illegally, the Migration Policy Institute estimates in a July 2015 report that less than half of them — 820,000 — are here illegally. Instead of “open borders,” Clinton has supported border security measures. The 2013 Senate immigration bill she backed would have made large investments in border security, including additional border fencing. Nixon never publicly released his tax returns as a presidential candidate. He didn’t release his tax returns from 1969 to 1972 until near the end of his presidency in 1973, amid speculation about tax improprieties. During the 1968 Republican presidential primary, Nixon would only allow a reporter for Look magazine to inspect photocopies of three years worth of his tax returns. Every major party nominee since the late 1970s has released tax returns before Election Day. Trump hasn’t released his and says he won’t until a government audit is finished. In the meantime, he has claimed that “there’s nothing to learn” from his tax returns. But tax experts say there’s plenty to learn — including sources of income, effective tax rates, charitable giving habits, whether there are overseas investments or bank accounts, conflicts of interest, and how a candidate’s policy proposals square with his or her individual tax situation. Kaine correctly cites the Moody’s Analytics reports, but there are a few caveats. For one, Moody’s concluded that if Clinton were able to fully implement the plans she has outlined in her campaign, the economy would add 10.4 million jobs during her presidency — but that’s just 3.2 million more than what would be added under current law. However, Moody’s determined that Trump’s policies, implemented at face value, would result in 3.4 million job losses over the course of Trump’s presidency. Also, Moody’s doesn’t expect that Clinton or Trump would likely be able to get all of their proposals through Congress. Under its “most-likely scenario,” a Clinton presidency would result in employment increasing by 1.5 million jobs over 10 years, beyond what is expected under current law. And the “most-likely scenario” under Trump would lead to an increase in jobs, not a loss, but not as much of an increase as would occur under current law. A day after the NBC “commander-in-chief” forum, Trump doubled down yet again on a talking point that has been repeatedly and thoroughly debunked by us and others. The fact is, there is no evidence that he opposed the Iraq War before it started, and the interview with Cavuto on Fox Business doesn’t offer any evidence. On the day of President Bush’s State of the Union address on Jan. 28, 2003, Cavuto asked Trump how much of Bush’s speech should be devoted to the economy and how much to Iraq. Trump said the American public is “much more focused now on the economy,” and he criticized the Bush administration for dragging out the decision on whether to invade Iraq. “Either you attack or you don’t attack,” Trump said. He did not say that Bush should not attack. The interview occurred a week before then Secretary of State Colin Powell addressed the United Nations to make the Bush administration’s case for war. Cavuto asked if Trump was saying that Bush’s indecision “could ultimately hurt us,” and Trump gave the response that he now cites as evidence he was against the war. “Well, he has either got to do something or not do something, perhaps, because perhaps [we] shouldn’t be doing it yet and perhaps we should be waiting for the United Nations, you know,” Trump responds. “He’s under a lot of pressure. He’s — I think he’s doing a very good job.” Trump was, in fact, defending the president’s decision to wait for the U.N. The U.S. trade deficit was $531.5 billion in 2015. Trump’s “nearly $800 billion” number involves a generous rounding-up and pertains to the trade deficit for goods only, which was $758.9 billion in 2015. The U.S. exports a lot in services, so leaving that out doesn’t provide the whole story on the trade deficit, as we’ve written before. In the past, Trump has specified that he was talking about the trade deficit for goods, but here he neglects to add that stipulation. That makes this claim false. The overall trade deficit peaked a decade ago in 2006, and last year’s figure was 34 percent lower.